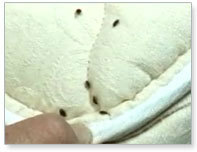 Cockroaches Treatment Home & Office, Cockroaches can enter through small cracks & crevices, vents & pipes .They carry numerous diseases & can contaminate the food..
Rodent Control Not only troublesome, but also possibly hazardous, rats, mice and other rodents can reproduce quickly causing costly damage to your home. Highly adaptable, these animals can find openings nearly anywhere and nest anywhere. Their feces and saliva may contain viruses that may make you and your family ill. And, because they eat our food, contamination is rampant. Keep in mind their gnawing (The word rodent means “to gnaw.”) can destroy wiring, insulation, and even metal. Although you may not see the damage on the outside, they may be making a huge difference inside your walls, your attic, or your foundation. These animals multiply quickly, so one rat can turn into a colony before you know it. Our experts will come to your home and formulate a plan to rid you of this problem. We will find the nests, clean the debris, and implement a plan to eliminate further infestation. Our methods are thorough and environmentally safe for you and your family. Let us rid you of these pests before their damage costs you money. Call us today. Other pests we remove are bed bugs, termites, ants, rodents, roaches, spiders, fleas, hornets, wasps, mice, mosquitoes, bats, scorpions, and many other pests. We also offer bird control services as well as crawlspace and pond and water feature management to our customers.